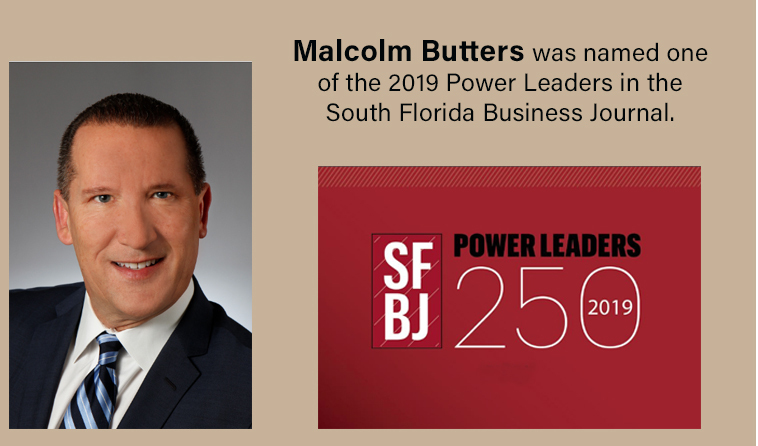 MIAMI (March 13, 2014) – Having about 3 million square feet of projects in a pipeline totaling 200 acres in Miami alone catapulted Butters Construction & Development to the top developer spot for NAIOP South Florida. The NAIOP South Florida’s 2014 Awards of Excellence, held at the IGFA Fishing Hall of Fame in Dania Beach Wednesday, featured a local who’s who from the real estate market including commercial brokers, attorneys and developers like Prologis, which lost out to Butters for the top spot. Some of Butters’ most prominent projects include the 320,000-square-foot Miami International Distribution Center Butters is developing with KTR Capital, which is the largest speculative industrial development in Miami-Dade County; a 170,000-square-foot building in Medley, a joint development with Industrial Income Trust, leased to Red Bull and OHL; and, the Miami International Tradeport project it is developing with Liberty Property Trust. Additionally, Pointe Group Advisors founder and CEO Peter Gardner and President William Holly, turned the $81 million sale of BAC Colonnade into the Office Sale of the Year. The iconic 205,000-square-foot building is home to BAC Florida Bank, Wells Fargo, Morton’s Steakhouse and Sushi Samba. Other winners of note included the team that put together the $23 million deal to renovate an existing building and build a printing plant for The Miami Herald in Doral, which won for industrial project of the year. The team consisted of Tere Blanca’s Blanca Commercial Real Estate, Jose Hevia of Aligned Properties, contractor Link Construction Group and architect Dario Designs. NAIOP South Florida is the largest Chapter in the State of Florida. Currently, it has more than 325 members representing constituents in Miami-Dade, Broward, Palm Beach, Martin and St. Lucie Counties. NAIOP South Florida is the premier commercial real estate development organization in the South Florida area.